No one had to teach me the meaning of saudade, because I’ve intimately understood it since I could speak. Saudade is a famous Portuguese word: countless articles have been written trying to capture its essence, but none of them have quite explained how it makes me feel. Saudade is a feeling of longing, melancholy, desire, and nostalgia that is characteristic of the Brazilian or Portuguese temperament. It describes a deep emotional state; a yearning for a happiness that has passed, or perhaps never even existed. It carries with it a touch of melancholy, yet in that wistfulness there is love as well. One thing is certain: the object or person of that saudade does not inhabit the present space or time. LISTEN: How to pronounce saudade perfectly. 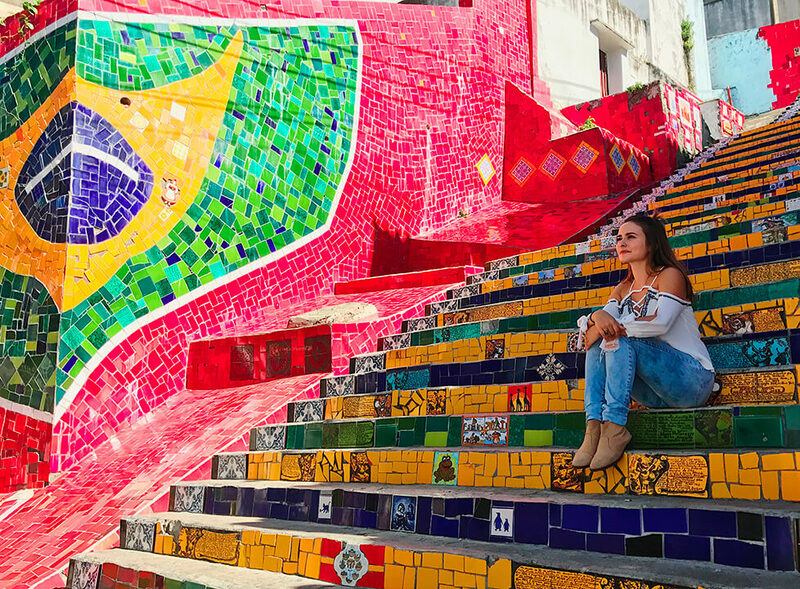 Being half Brazilian and a fluent Portuguese speaker, I grew up with the word—and spending most of my life thousands of miles from people I love, I’ve understood it through practice. It’s a word so close to my heart that it’s almost difficult to express through, well, more words. So instead of trying to explain it, let me tell you a story. 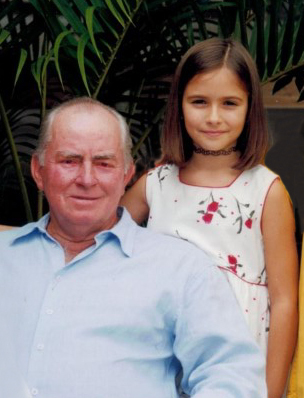 I only visited Brazil once a year as a child, but when I did, I was my grandfather’s darling. Every few days, he would call me into the living room, where he’d be sitting on the couch watching television, hands resting on his plump beer belly. I’d plop down next to him and ask him why I had been summoned. It was a well-rehearsed routine; we both knew that he would ask me if I wanted to go get freshly pressed sugarcane juice, and that I would say yes. He would then stand up, slap on his straw hat, and smile at me with cheeks so ruddy it had earned him the neighborhood nickname of João Vermelho (“Red John”). We would hop into his 1970s Volkswagen Beetle which, after two decades of usage, had fraying leather seats and a cream paint finish almost turned gray from the dusty Brazilian roads. How silly it was for us to even drive, considering it was just a 10 minute walk! But that was our thing— to drive to the local sugarcane man, watch him chop up and grind long sugarcane sticks into his rickety metal press, and sit by the roadside, clutching our warm plastic cups of sugarcane juice. If I was really lucky, we would stop by a florist on the way home and buy a yellow rose (his favorite flower). Considering I was one of his 20+ grandchildren, having his exclusive attention for those fleeting hours made me feel so special. I cherished these afternoons with my grandfather, and I looked forward to them every year. Until, that is, my mother knocked on my door one afternoon shortly before my 16th birthday and informed me that he had passed away from a heart attack. I don’t remember much of that day, other than the sharp pang in the depths of my heart; I tried to hold it together but instead locked myself in my room and cried until my pillow turned into a soggy napkin. I had felt saudade every year for our special afternoons. But now, that saudade had morphed into something even more profound because it had become insatiable. I believe that the magic of this word lies in its bittersweetness. How good it is to love someone or something so much that you could feel a part of your heart missing when they’re gone. In my life of travel, I am constantly yearning, wanting, and experiencing that bittersweet nostalgia, whether it be for my family, a memory, or a comfort that I’m missing. Whenever I return to Brazil and see a sugarcane stand, or a yellow rose, or a grandfather playing with his little granddaughter, I feel saudade. I feel love. I feel longing. I feel an existential craving for what is no longer there. All of these emotions are contained in moments that no one else could ever suspect mean the world to me, and remind me of both a love and a loss beyond explanation. Saudade is a delicious cocktail of sadness and love, a tonic for a heart that longs to feel what it means to be human. 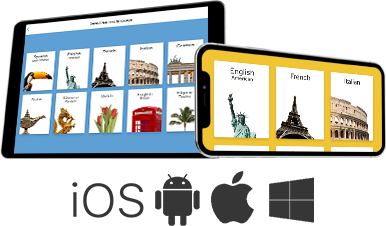 Open your world and start learning Brazilian Portuguese with Rosetta Stone.